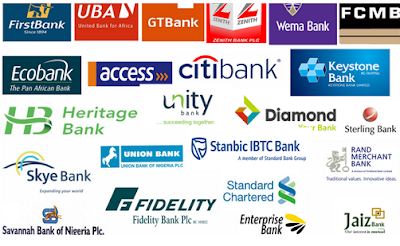 Workers in the financial sector of the economy have advised Nigerians to withdraw enough cash as they finalised arrangement to embark on a nationwide industrial action in protest against what they termed unlawful detention of their president. This is even as the union has described the allegation of N30 million fraud against the National President of the National Union of Banks, Insurance and Financial Institutions (NUBIFIE), Danjuma Musa, as outright falsehood. The union in a letter to Daily Sun and signed by its General Secretary, Muhammed Sheik, in reaction to a publication on Monday said the information were “false untrue and fallacious”. The union has therefore threatened to embark on a nationwide strike if the Nigeria Police fails to release its President, Danjuma Musa, who was arrested and detained last week. Speaking at a press conference in Lagos, the General Secretary, Muhammed Sheikh, said the union’s president has remained incommunicado since he was taken away by some SARS members to Area F Police Station on May 11. ‘’If it was an arrest, he will be allowed to speak to his lawyer or family members. On May 12, when we found him in Area F, Ikeja, the police accused him of stealing and threat to life. ‘’Later, that same day, Musa called that he has been flown to federal SARs in Abuja and till today, members of the union have called but his phones cannot be reached,’’ Sheikh said. He said the union discovered that a former dismissed worker of Enterprise Bank who claimed to be a factional NUBIFIE Acting Secretary was behind the arrest. According to him, the Inspector General of Police (IGP) should know that he cannot work for a group of people against Nigerian workers and leadership of NUBIFIE. He therefore advised the general public to withdraw their money from banks as from this week, noting that the union in protest will ensure all banks are closed if Danjuma Musa is not released in good condition of health. He, however, said the union members would made a peaceful protest to Area F Police Station at Ikeja to request for the release of their President. He appealed to the IGP to investigate the allegation against the union’s president and leadership, adding that the issue had been reported at the Federal Criminal Investigation Bureau, Abuja, before now.